The signed edition of this title is sold out, but you can buy an unsigned copy here. Two legends of laughter come face to face with horror’s greatest heroes – our Ultimate Guide to Abbott and Costello Meet Frankenstein is a magnificent celebration of the comedy classic, packed with the excitement and anticipation of the movie brochure you might have bought in 1948! 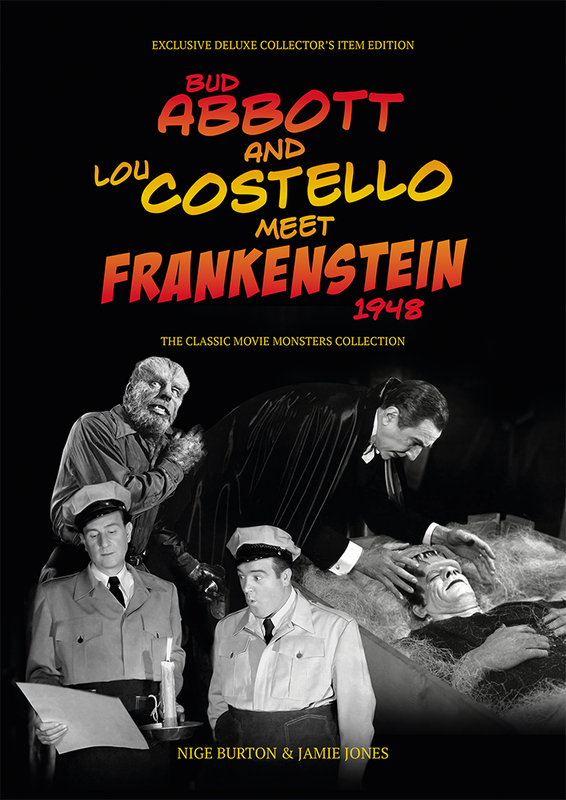 You’d be hard pressed to find a monster mash-up with the fun, fright and excitement of Abbott and Costello Meet Frankenstein. Bud and Lou’s encounter with Dracula, the Frankenstein Monster and the Wolf Man is a non-stop riot of action and our full-colour signed Ultimate Guide magazine makes the perfect companion to another viewing. Every page of our signed Ultimate Guide is rich in images, information and atmosphere, bringing you the thrills of this horror-comedy crossover classic in style. Beautiful stills and artwork accompany insightful articles telling the story of the movie’s production, while biographies introduce you to the cast and crew who made it all happen – from comedy icons Bud and Lou to horror stars Bela Lugosi, Glenn Strange and Lon Chaney Jr as well as director Charles Barton and so many others, this classic was a real team effort. Our Abbott and Costello Meet Frankenstein magazine guide really is the best way to indulge your love of one of the most popular movies in the horror and comedy genres. 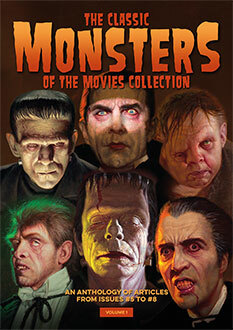 With the vibrant design and loving attention to detail you expect from Classic Monsters publications, this is the ideal way to rediscover one of your movie favourites. What’s going on at McDougal’s House of Horrors? What does Sandra see in Wilbur? And what’s Larry going to wear for the masked ball? The answers are in here, in a sumptuous signed magazine guide to Abbott and Costello Meet Frankenstein that no fan can possibly miss. Remember, the first 250 copies are signed by Nige Burton and Jamie Jones, and come with a FREE Abbott and Costello Meet Frankenstein art print.